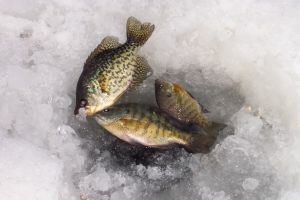 Ice fishing is exciting not only because the harsh conditions that will make your catch seem even moe hard earned than usual, but also about the entire ritual of drilling and preparing your fishing hole on ice. 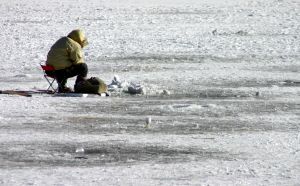 For those tourists who are amateur or not so amateur fisher(wo)men, here are the top ice fishing spots in Sweden. 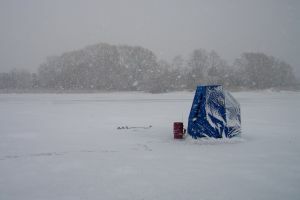 Interest in ice fishing has been growing in the River Lule area in recent years, not only because the landscape is very pleasant, but also because a good catch of salmon or trout is generally guaranteed. The best fishing spot on River Lule is said to be outside Boden, and some believe that this is actually the best spot for salmon fishing in Europe. If you don’t feel like exploring the banks of Lule on your own, you can book a place on an ice fishing tour that will take you for a few days to the best fishing spots on Lule, and provide you with the necessary equipment too. Abisko is a very small village in the North of Sweden, and probably nt many people would know about it is it hadn’t been located a couple of kilometers from the scenic Abisko National Park. You can get to Abisko by train from Stockholm, so the location is very accessible. Abisko is located on the southern banks of Lake Torneträsk, and there are some very good ice fishing spots, either on the side of the road, or deeper into the wilderness – whichever you prefer. Jokkmokk in Northern Sweden is a charming little town, but apart from sightseeing, it is a great destination for ice fishers. Lake Skabram, just west of the town, has some very good fishing spots where you can catch salmon, trout, char or grayling. 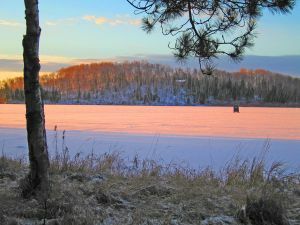 Rent a snowmobile or a sled and head to the lake, and either jig your fishing hole wherever you like (but keep in mind that the ice has to be thick enough to support you and your equipment), or ask the locals – they will be happy enough to give you a few suggestions. i really think ice fishing is fun and all, but what about fishing in Nor-California, check out my blog to find out more. I’ve been to Jokkmokk. As well as the fishing, I recommend you try the local elk meat. Delicious!